Houses & Homes VA: A world without McDonald’s? Well, maybe I am overstating it just a bit but when the CEO of such a major force in the business world makes the statement that McDonald’s is experiencing an ‘urgent need to evolve’, it sounds quite serious. This is not the first time that the restaurant giant has experienced a serious decrease in sales. Worldwide sales have dropped 1.7% and 4% in the U.S. during the month of February. This marks the 9th month in a row that sales have declined and appears to be the beginning of a downward trend for the fast food king. Many experts are wondering why the sudden change for the most successful fast food restaurant in history? Some feel that the new advertising campaign featuring the slogan “pay with lovin" is partly to blame but I feel that explanation may be a bit simplistic. 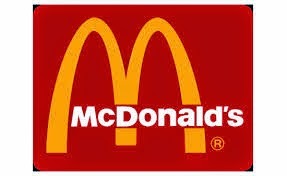 Although the new campaign has failed to spark interest, McDonald’s has had some major setbacks recently. If you recall there was the problem of “tainted meat” last summer in Japan and now the discovery of vinyl in a customer’s Chicken McNuggets in January, also in Japan. This does little to boost sales in any country and makes many consumers wary about exactly how the food is prepared. Notwithstanding, McDonald’s has long been the target of the “healthy eating crowd” and has gained a reputation amongst many over the years as the place not to eat if you are striving for a more healthy diet. It should also be noted that there is more competition than ever before and long time rivals such as Burger King and Wendy’s have triggered a price war in the industry that has affected profit margins considerably. The arrival of new competition such as Five Guys Burgers, Chipotle, Panera Bread and others has also taken a bite out of McDonald’s customer base. Only last week McDonald’s again made promises to stop selling chicken that was both fed and injected with human antibiotics amidst more pressure from food safety experts and the U.S. government. Many feel that this practice is contributing to the rise of antibiotic-resistant infections. In 2003 a similar promise was made by the fast food chain but never came to fruition. Are we seeing the “beginning of the end” of the most powerful and successful fast food restaurant in history? I’m sure it’s way too soon to make such an ominous prediction but one thing is certain; McDonald’s is facing the greatest challenges it has yet seen and declining sales figures are never a good sign. Only time will tell if we will continue to view the world famous golden arches as the undisputed king but it is clear that many changes will need to be made to regain the confidence of former customers that have gone primarily in search of a healthier and “safer” alternative.